Many of us who watch the economy are slaves to what's changing in the relatively short-term, but it can be useful to anchor oneself in patterns over longer periods. 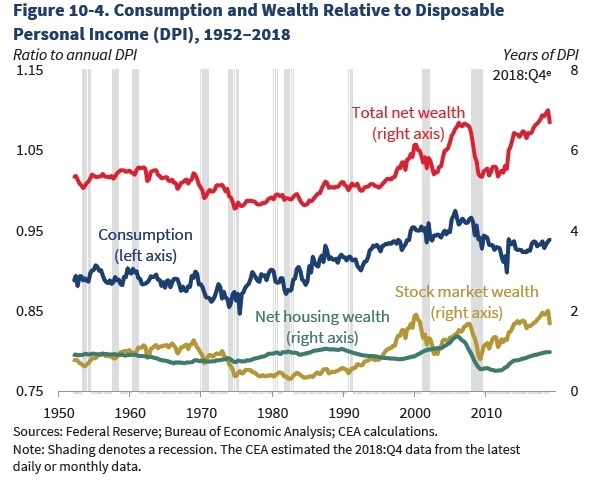 Here's a graph from the 2019 Economic Report of the President, which relates wealth and consumption to levels of disposable income over time. 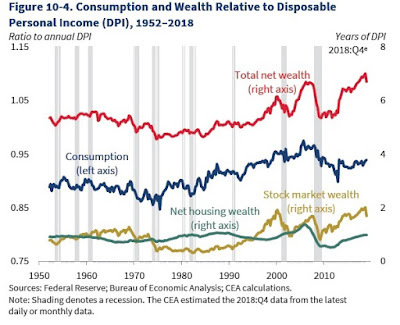 The blue line shows that total consumption is typically equal to about 0.9 of total personal income, although it was up to about 0.95 before the Great Recession, and still looks a shade higher than was typical from the 1950s through the 1980s.